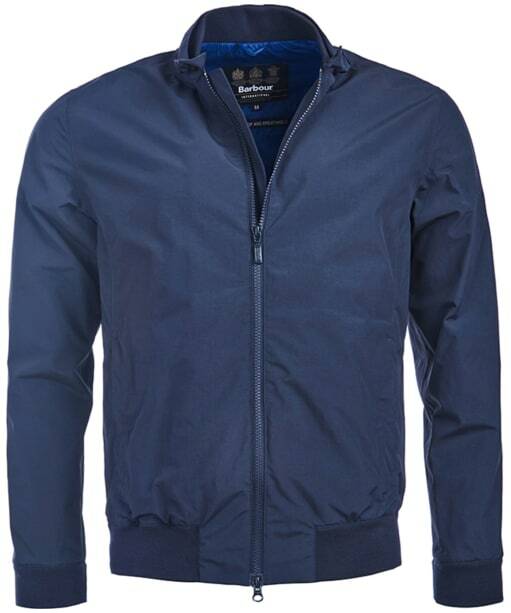 The Barbour International Runnel Waterproof Jacket is a fully waterproof bomber-style jacket that offers style and practicality all rolled into one. 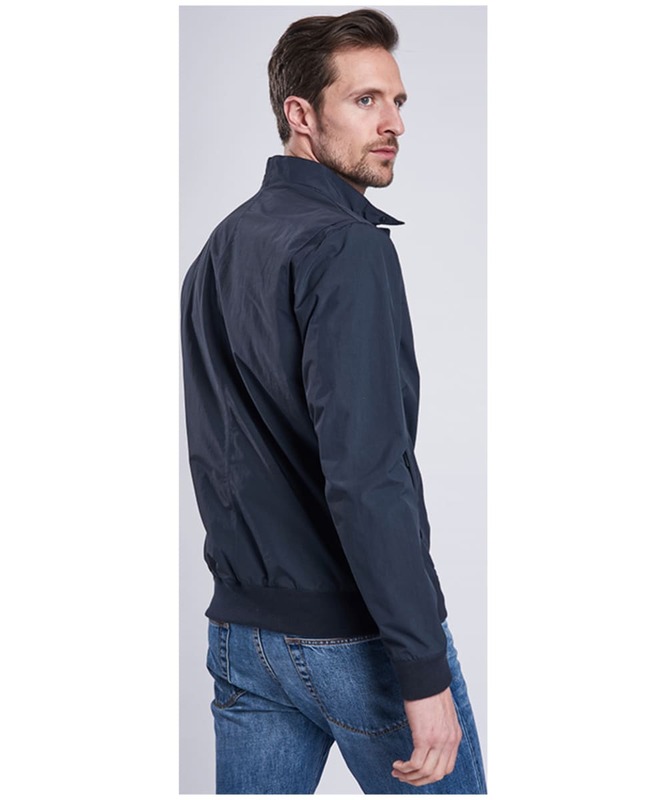 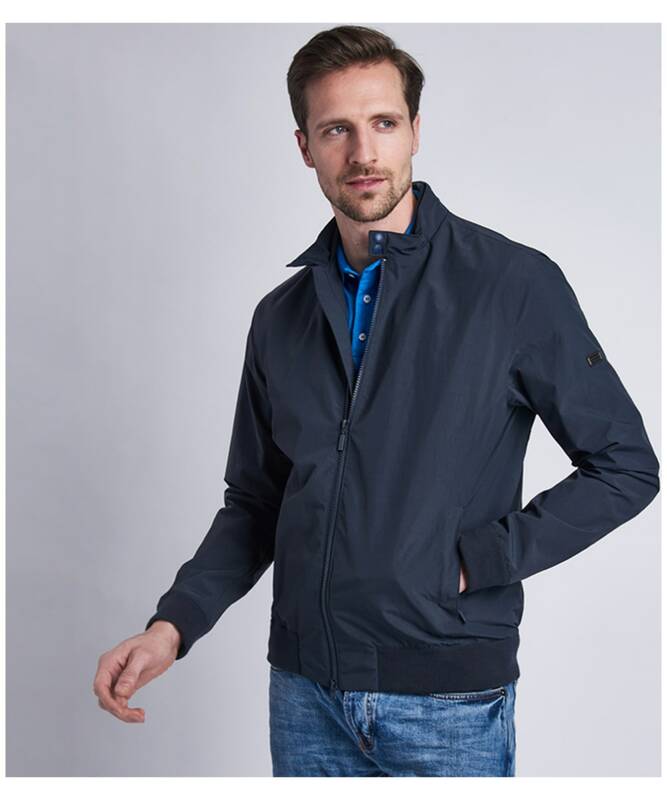 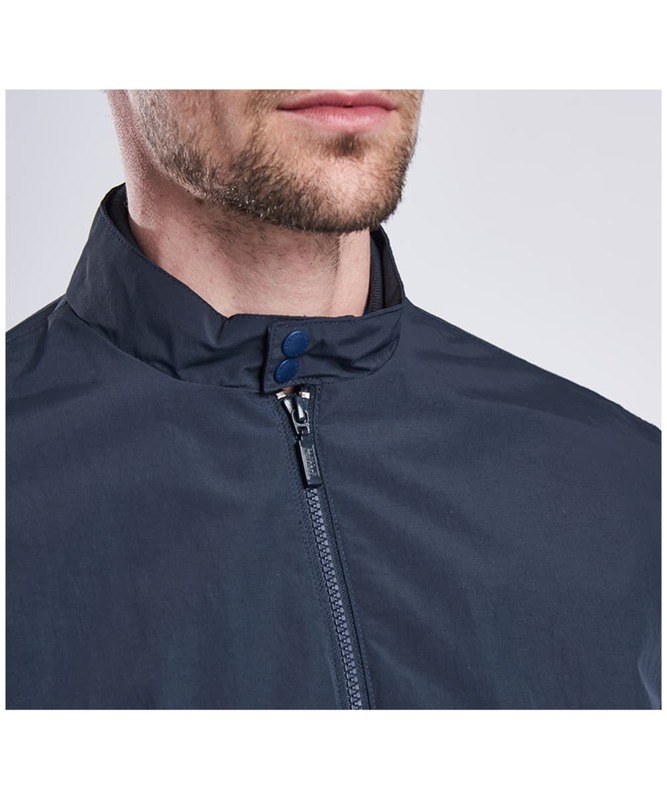 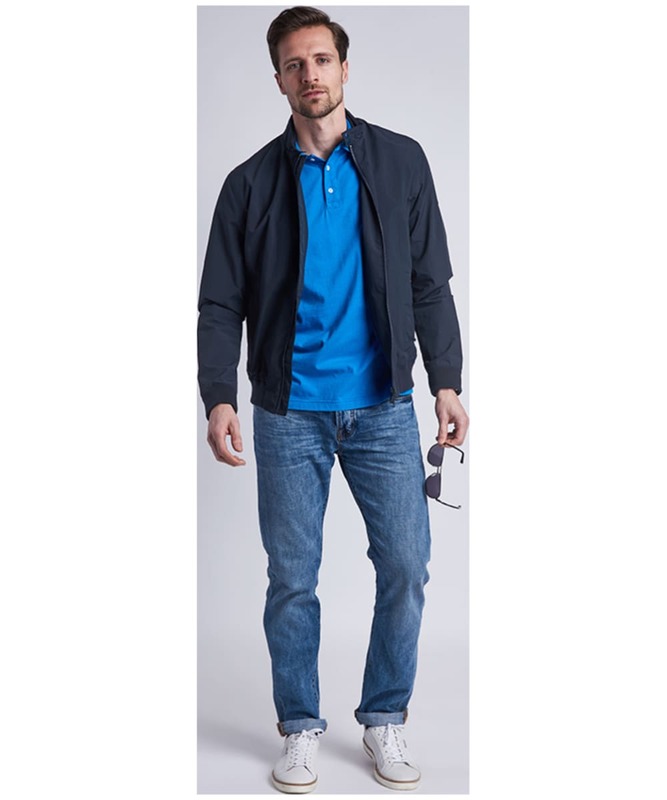 Available in this on-trend style that features a ribbed neckline, hem and cuffs for a neat finish, the Runnel jacket will ensure you are protected from the wind and rain, and features two inner pockets for the safe storage of your valuables. Boasting an action back for added ease of movement, the Runnel jacket is ideal for casual days when the weather is unpredictable. 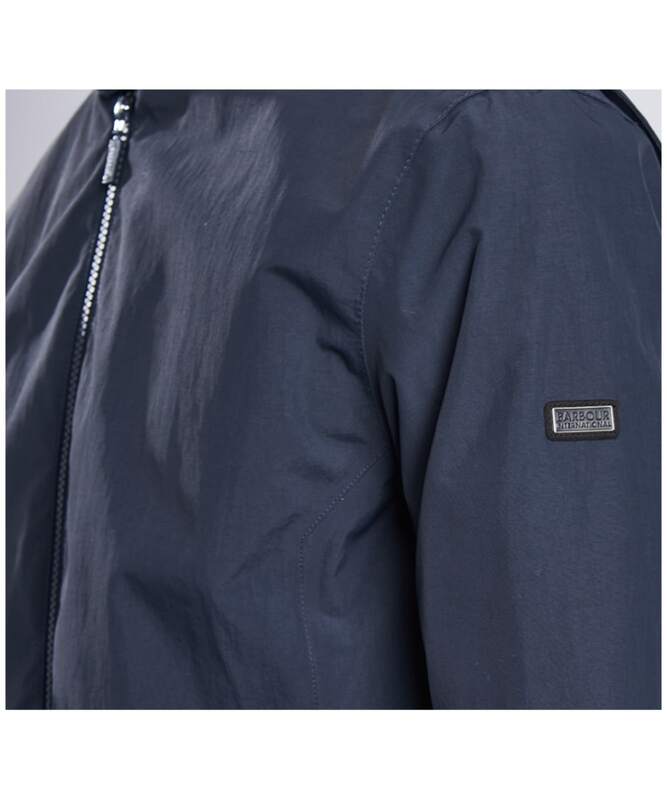 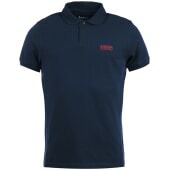 This Barbour International jacket is finished with a branding badge to the wearer's left sleeve as standard.